This clear, easy to use meter is a must for all gardeners. To produce healthy plants, fruit and vegetables it is essential that they are grown in appropriate soil conditions. 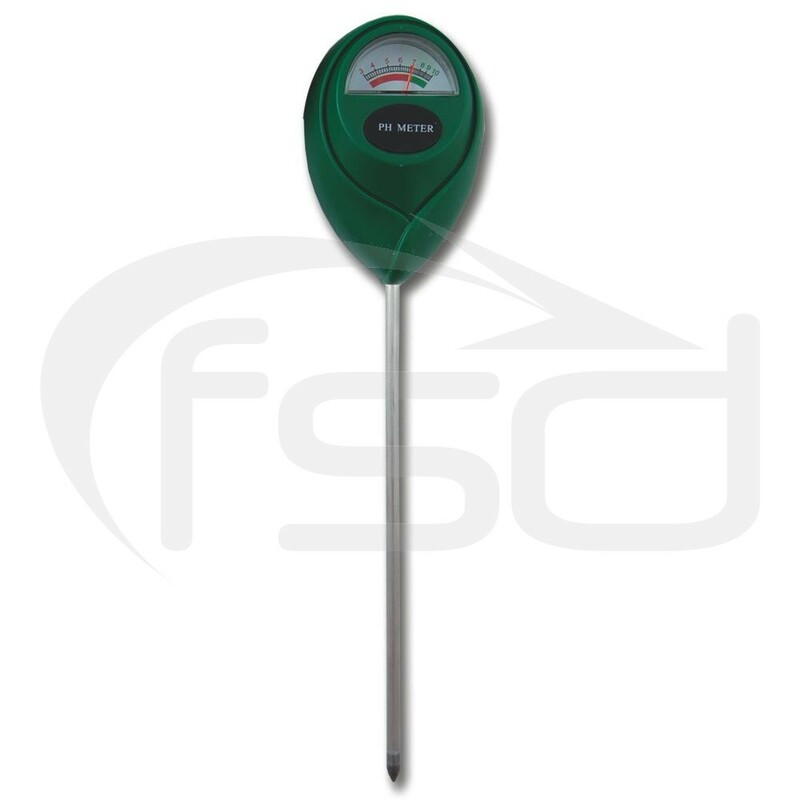 Simply insert the 200mm long probe into the soil and the meter will immediately tell you if the soil is acid or alkaline. You can then add the necessary soil treatment to adjust the pH as required. The pH meter does not require batteries. Overall size: 290 x 55 x 34mm.